I'm of the belief that the final scene shared between Kairi and Sora has more meaning than we initially may have perceived there to be. I believe that the moment Sora lifts his hand to, what on a first viewing appeared to be a movement to grasp Kairi's hand tighter, was actually Sora possibly passing Luxord's Wildcard off to her. [FONT=wf_segoe-ui_normal]What initially made me wonder about this scene was during my second viewing of the ending, where I was struck by how odd the gesture actually was. Sora lifts his hand but doesn't grasp Kairi's hand tighter, like I initially thought. There's no argument to be had about how animating this more accurately is impossble either, in my opinion. This is the same game that delivered the jaw dropping final scenes from The Caribbean. I admit this could be nothing, but my gut tells me otherwise. Sora knew the moment he went after her what was going to happen to him. 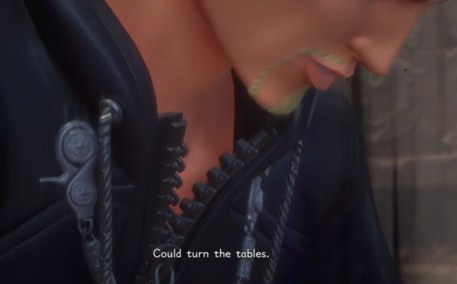 YMX warned him; Mickey warned him. It's likely Sora knew that this was the only way to save Kairi without jeopardizing the safety of his other friends, after all.. that's not how the Power of Waking is meant to be used. From the Keyblade Graveyard and on, Sora has used the PoW to circumvent death itself. 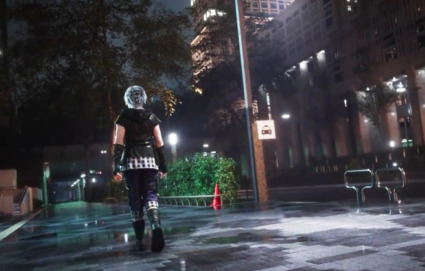 It's common knowledge that the Secret Ending is a version of Shibuya from TWEWY universe, the 104 was a dead giveaway and Nomura in the most recent Ultimania has confirmed as much. Sora is dead; he's in the Reaper's Game. It makes sense, as much as anything in KH does. But why is Riku there? He's not dead... so that's where the Wildcard comes in. 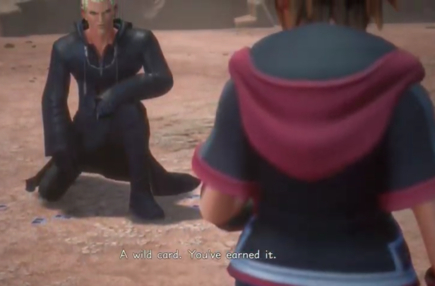 Luxord tosses Sora a card for his triumph, one to "turn the tables" that we never see used in KH3. The most obvious assumption is that the card is going to be used to "turn the tables" of Sora's fate, to help him return to his home. The only question is how? My answer is Riku. I believe Riku uses the Wildcard as a means to access whatever worldline/dimension Sora has crossed over to, in order to bring him home. I believe Sora entrusted the card to Kairi, and she passes it to Riku knowing he's the only person determined and strong enough to bring Sora home. After a month I finally got around to posting this, thank you for coming to my Ted Talk. Yeah I had a feeling Kairi was the one who had the card in the end. I also think she may have insisted on going with Riku before he convinced her not to come. I just hope Kairi doesnt spend next game just sitting on the islands waiting for the boys to come home again, lol. Sorry to ruin your suspicion, however Sora was actually trying to let go of Kairi's hand but she wanted to keep holding on. She's desperate to stop Sora from completing the Soriku ship we all know and love. He was all like "Girl, I wanna go and hang with Riku", but she ain't having none of that. But honestly, this is an interesting theory. I don't know if... based on the hand motions that he passed the wildcard off to her in this moment, although I will agree that the movement is very, very odd. The wild card being able to summon Riku though... that's intriguing. I like the idea of that, and it kinda fits in with my own head canon, and even that SR theory that's been making the rounds. Another idea I have, that literally has only one piece of evidence, is that it could be referring to a specific Org member? I swear to god that one of their titles was "The Wild Card", and my current idea is that it could summon/resurrect that specific person. But.... I dunno. Sora faded away to escape Kairi. I just checked all their titles and nope. None of the members have that title not even in the Japanese version. Though I do like the idea the card summons someone.